Vintage Gwen: Darling Day-Fashion Finds! Very low entries for the 150 'Fall'ower Giveaway!! Are you going to do some baking this fall? I'm going out on a small limb here and showing you some of my favorite 'fashion' pins recently. I say going out on a small limb because I've been thinking of adding some fashion content to my blog. Not sure yet exactly what but I like fashion....I do have a degree in apparel merchandising! But I"m going to be honest...I'm hiding behind the computer. Yep I am. Ashley's writing has got me thinking about a lot of stuff and some good blog advice is to just be yourself. Well the real me likes fashion. Would fashion content even fit? I'm loving purple for the fall! I love this!! It's tough and dainty at the same time!! I really want to try and make it! When I'm done having babies, I must have this!! I love this from neck to toes!! This is so fun! And I would wear everything! Now that I think about it, this is a fun date outfit!! Change out the shoes for flats and it's a stylish mom outfit!! Photos courtesy of Pinterest and their respective sites. All nice pieces! 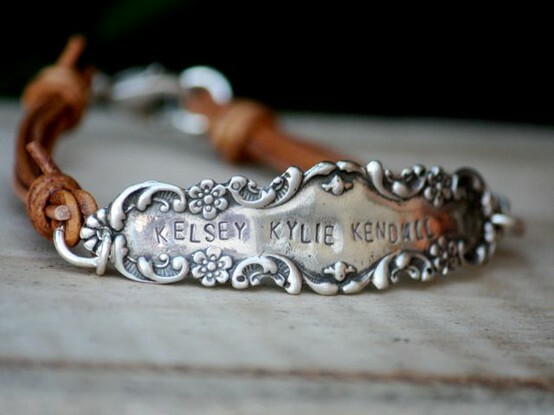 I love that bracelet with the names on it - it's really different and pretty. 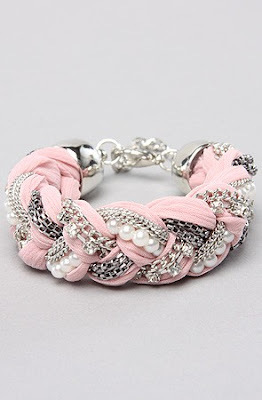 I love the first bracelet! That is gorgeous! What fun things you found! Ps--did you post your giveaway at places like Someday Crafts or Homemaker on a Dime? They let you link up your giveaway so others can take a look at it. Leopard and hot pink....I'm so there!! Fun! 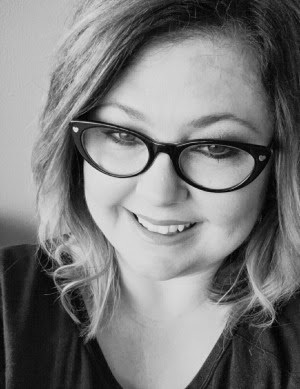 Stopping by from Blonde Episodes Fashion Friday Blog Hop!